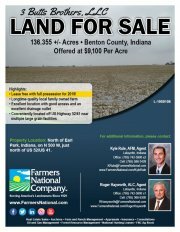 This 195 Acre +- farm has good income. Approximately 119 tillable acres and an 18 acre stocked lake. Some of the ground has been mined. Farm or Invest! 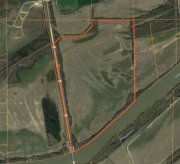 Take a look at this 165 acre tract. 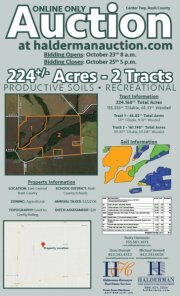 It offers 156 tillable acres. Not interested in Farming? Investors this property yields a 3.8% ROI based on the current crop rent. Check with us for the details. 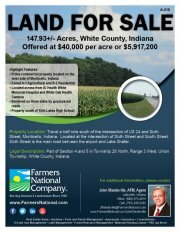 This Farm would make a great Farm, residential or commercial development. Fronts I69, with great visibility. There is also an old farm house on the property that is currently leased.